Your access to these vegan varieties will depend where you live, as the Girl Scouts use two bakeries in the United States for their cookies, ABC Bakers, which makes five vegan options, and Little Brownie Bakers, which has one vegan option. The bakery used varies by area - you can check which bakery your local Girl Scout troop uses by looking at the cookie boxes. 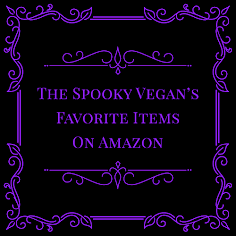 The boxes of cookies themselves do not say "vegan" on them, but just look for the varieties listed below or keep an eye out for the "ABC Bakers" logo. Thin Mints - These crispy chocolate wafers dipped in mint chocolate coating are irresistible! I love mine chilled in the freezer. 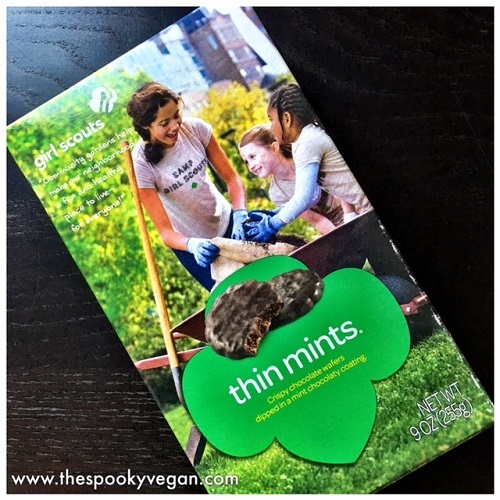 These are vegan and are the only Girl Scout cookie available through both bakeries, so you can get your Thin Mint fix no matter where you live in the U.S.! Peanut Butter Patties - I adore these crispy vanilla cookies layered with peanut butter and covered in rich chocolate. Is there really a better combo than chocolate and peanut butter? I think not. 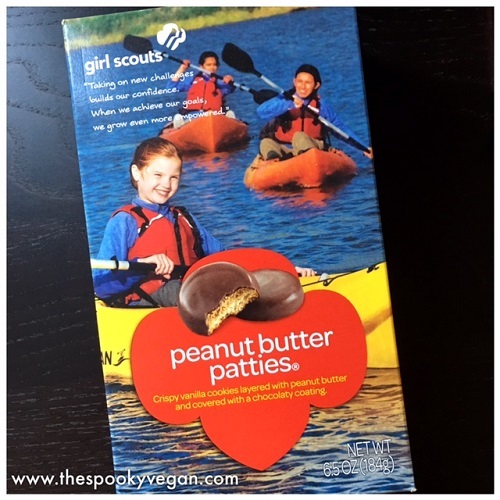 These vegan Girl Scout cookies are only available in areas that use ABC Bakers. 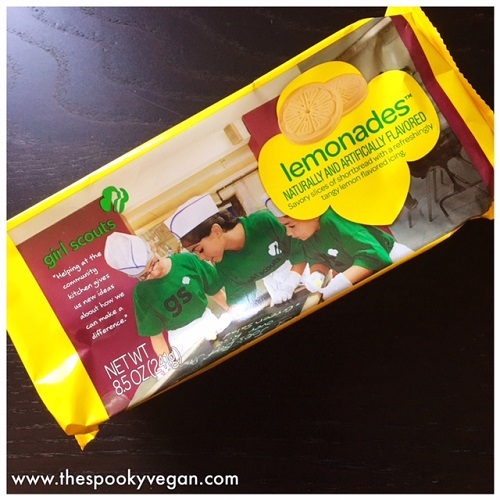 Lemonades - I think that behind Peanut Butter Patties these lemon icing covered shortbread cookies are my second favorite! They are so crispy and their lemon flavor gives them a refreshing tang. These are also only available in areas that use ABC Bakers. Thanks-A-Lot - These shortbread cookies dipped in chocolate are wonderful paired with some coffee or tea. They feel like those cookies you save for when company comes over unexpectedly (I don't think these will last long enough in my house for that, though!). These are vegan and available in areas that use ABC Bakers. S'mores - This year ABC Bakery introduced this brand new flavor and it's vegan! These S'mores cookie is a crispy graham cracker dipped in creme icing and coated in delectable chocolate. It is very sweet but really has that s'mores flavor that makes me want to enjoy it around a campfire! These are only available in areas that use ABC Bakers. 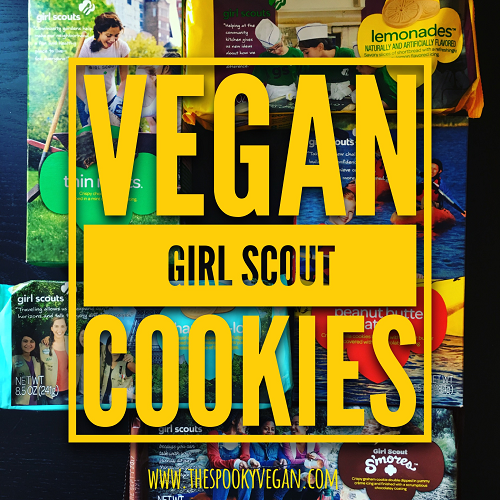 Of course, just because these cookies are vegan doesn't mean they are healthy, so consume responsibly (I have to tell myself this every time I reach for a box)! Also to note is that these contain palm oil, so that is something you do not use due to ethical reasons you may want to skip these. ABC Bakery has a statement on their FAQ page concerning palm oil if you'd like more info - they do try to source sustainable palm oil and are looking for alternatives to replace palm oil in their cookies. 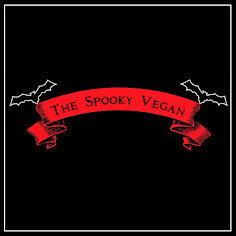 As for me, I'm just glad vegan options are becoming more and more prevalent (I LOVE how the ABC Bakery website clearly displays the "vegan" label on their cookies!) 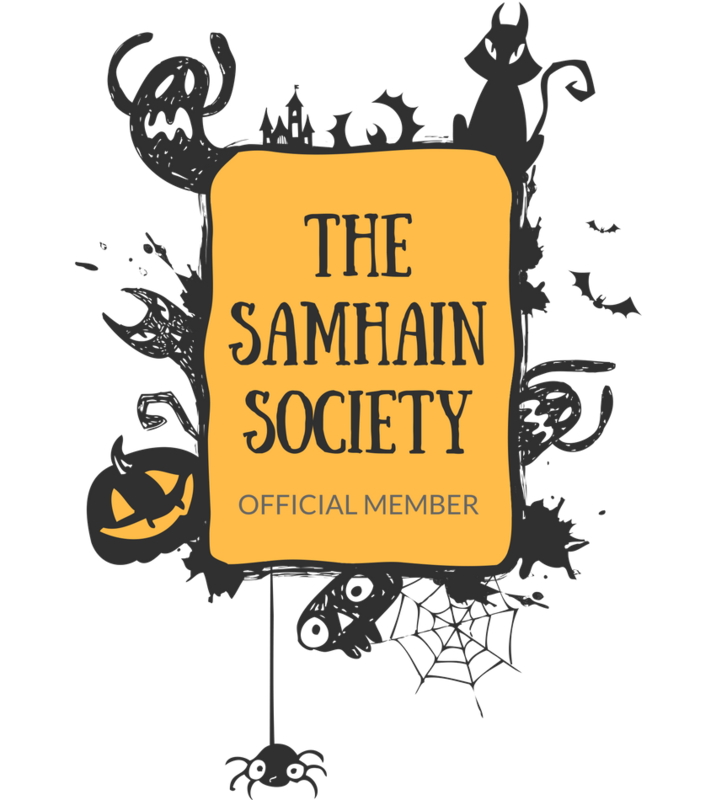 and that more people are eating vegan cookies (even though many of them may not even know it!). I also like supporting the Girl Scouts, which gives young girls leadership skills, a sense of community, and usable skills. 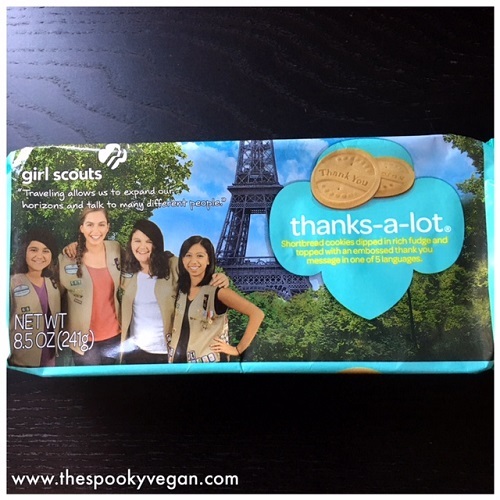 I am lucky to currently live in an area where the Girl Scout troops use ABC Bakery for their cookies, so I can get all five of these delicious vegan Girl Scout cookies. 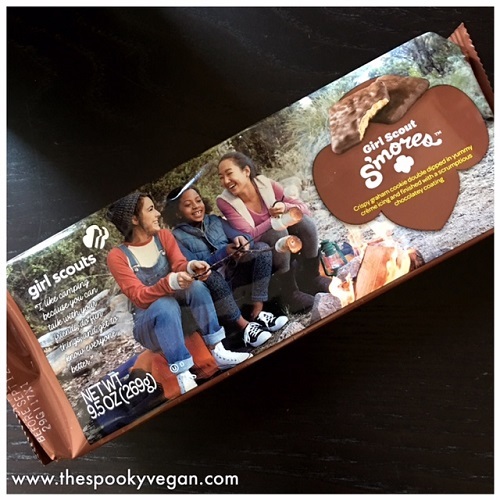 To see if these are available in your area, just type in your zip code into the Girl Scout cookie tracker! 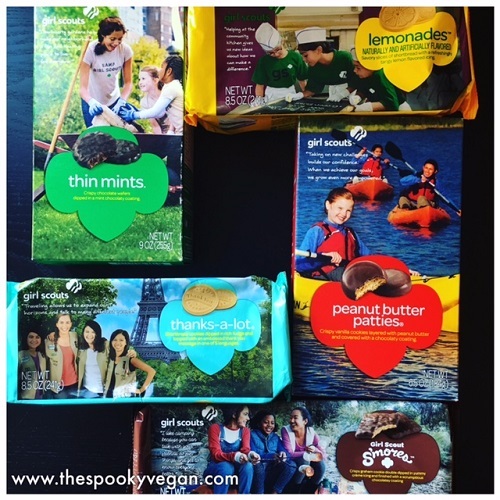 What are your favorite vegan Girl Scout cookies?